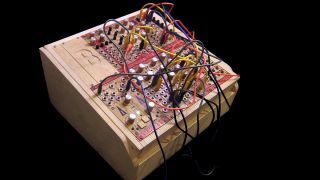 Czech electronic instrument maker Bastl has released its first batch of modules in DIY kit form. We first saw the oak-panelled modules at MusikMesse this year and instantly fell in love with the wooden facade. Well, now the wait for a release is over and Bastl is giving everyone the opportunity to build their own module. If you bodge up your build, or you're not quite brave enough to wield your own soldering iron, then you can send the kit back to Bastl and they will build or repair the kit for you for just €25. Return shipping is free if the 'Come to daddy' service is paid for within a month of purchasing the module in question. All five modules and the repair/build option are available on the Noise.Kitchen site.